Relive The Glory of The Coin-op Age Without Spending A Fortune! 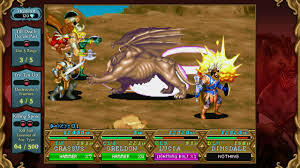 Dungeons And Dragons: Chronicles of Mystara is an HD remake of the first two Dungeons And Dragons coin-op arcade games from the 80's and though the game looks quite good with its 24-bit HD remaster is it still fun enough by today's standards that you'll want to use continues time and time again to beat the two games in this collection? Keep reading to find out! 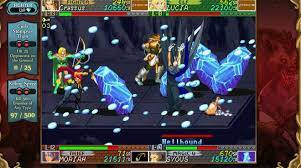 The story in the game is relatively simple considering its age this shouldn't be surprising, but the gist of the story without spoiling anything is several heroes team up to face off against some evil monsters and must save the world from impending doom. The Gameplay on the other hand is fairly complex, not to mention difficult. 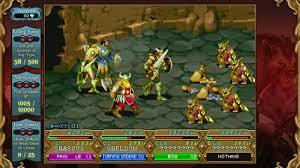 You will be using many continues even on easier difficulty levels. The two games in this collection have a wide variety of magic and skills and you can even buy or find new weapons that are stronger or have elemental properties such as fire or ice that can be super effective against certain enemies! The game has branching story paths that players can choose from depending on the choices that they make in the game and there are multiple endings as well, which was almost unheard of when the two games in this collection were released in the 80's. The game has different control options such as the Wii U Gamepad, Wii U Pro Controller, and the Wii Classic Controller Pro while the other two options aren't bad, I found that the Wii Classic Controller Pro was the most responsive option with a good button mapping as well! Possibly the best addition to to this collection is online co-op where you can play together with other players to take on the two challenging quests! Which could be your only option for co-op if you don't know anyone who's interested in playing the game with you for some local multiplayer. The only downside is that there aren't very many online players in this title. 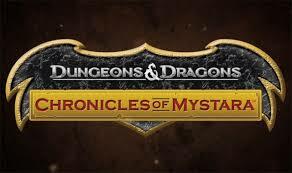 The graphics in Dungeons And Dragons: Chronicles of Mystara have been beautifully updated to HD with graphics that look like they're somewhere between 16-32 bits and though they aren't as impressive as say Ducktales Remastered they still look very good! The game's cutscenes and static images in shops look very impressive as well. The sound is very reminiscent of arcade games of the 80's and 90's, while not bad they can be somewhat annoying if you didn't grow-up during the great arcade era, but for someone like myself who did the sounds feel very nostalgic! The music also has a retro arcade feel which adds to the experience! With great gameplay, responsive controls, good remastered graphics, and very nostalgic music and sound effects this game is a good trip down memory lane for gamers of the 80's and 90's and should be fun for newcomers as well, however the lack of activity in the online mode hurts what could have been an amazing feature of the game, but regardless we still highly recommend this game to all Wii U owners! Very detailed review compared to most of yours @Rukiafan. I'm not going to download this game, but it doesn't sound bad. Such good review you do good work on review Rukiafan. Nice review! Being the D&D fan that I am (Crystals of Silveria is set in one of my many personal D&D worlds), this is a natural purchase for me to make. All I need is a Wii U and I'm good to go! I'd definitely play online with you Rukiafan! Maybe I can make a Diplomacy check with the shopkeeper to get my Wii U at a reduced price. If I roll a natural 20 he might even give me a free game AND a Wii U Pro Controller AND Boots of Elvenkind! Yeah, normally these titles aren't my cookies but with local 4p and rpg elements me and my buddies are probably gonna enjoy this. Waiting for a discount ... means no money for this at the moment, as I wanna download Deus Ex on Wii U next. Maybe I should take a risk and download this? 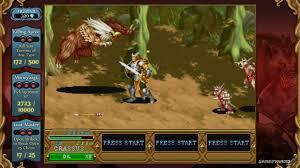 I have never played Dungeons And Dragons before, but it sounds like a good multiplayer arcade game. @Clαππαd wrote: Nice review boss! I'm puzzled as to how the tabletop RPG experience translates into an arcade brawler. Still, it's definitely one to consider.